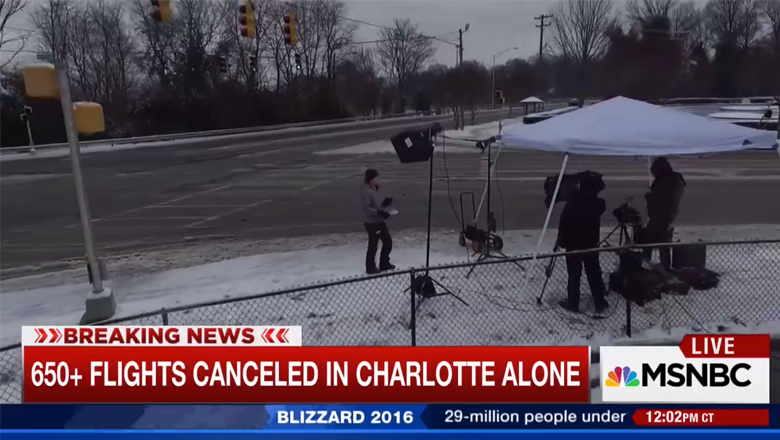 MSNBC, not content with just the Bloommobile, has pulled out another tool for its winter storm Jonas coverage — a drone. 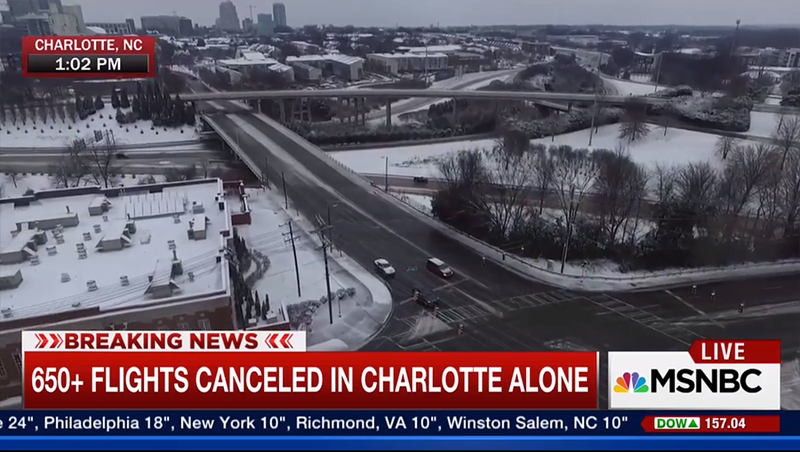 The drone was spotted as part of a live shot from Charlotte in the 1 p.m. eastern hour. 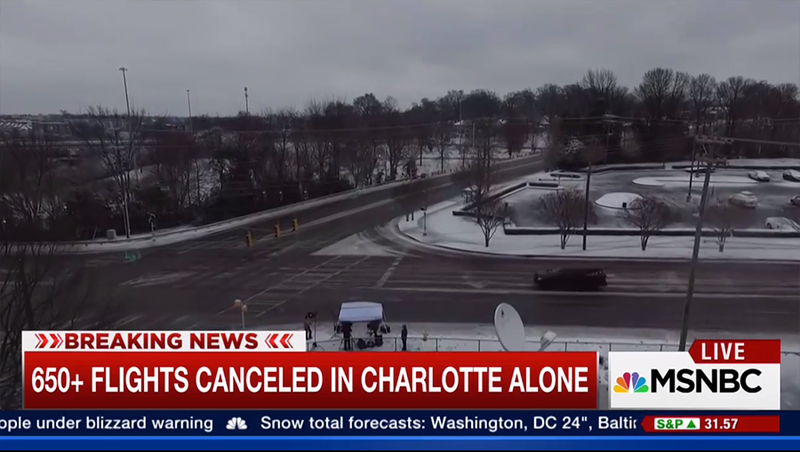 Apparently wanting to emphasis that it was utilizing a drone and not just an everyday chopper shot, MSNBC opted to show the live camera feed from the drone as it took off from next to the live shot location and flew upward to show a bird’s eye view of the city. The view provided an interesting view at the standup setup and satellite truck as well as the skies.